As mentioned before, I’m lucky that I’m close to my brother and sister in law. They just make me so happy to be with and love that they are foodies too. Recently visiting their new pad in Brighton, I met up with my sister in law and girlfriends to try out a place for lunch that I had been seeing great reviews online. Silo is a very special restaurant, coffee house and bakery for very unique reason that its design with the bin in mind. “The production of waste has been eliminated by simply choosing to trade directly with farmers, using re-usable delivery vessels and choosing local ingredients that themselves generated no waste. Our compost machine set inside Silo turns all of our scraps and trimmings directly into a compost used to produce more food… Closing the loop.” Amazing. The ethos all restaurants should be adopting with the amount of food waste that is generated in the home and commercial kitchens. Stepping in off the street and away from the antique and vintage stalls lining Upper Gardner Street, into the very cool space of Silo with menus projected on the walls, a mixture of wood, steel and concrete. As well as my favourite feature, an open kitchen. My poor friends must of thought I had the shortest attention span as I had wondering eyes to the kitchen to see what was going on and all the bustle. 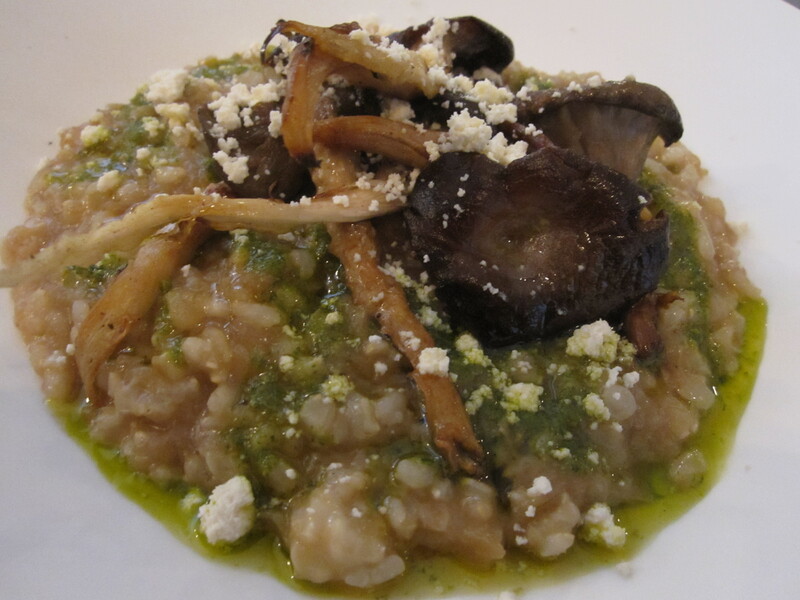 I went for the Fermented Brown Rice Risotto, Silo’s Fresh Curd & Espresso Mushrooms which was incredible. I liked the chefs brought out the food explaining what was special about the components of the dish. By fermenting the rice in the risotto the natural goodness of the rice – or ‘jazz hands’ with miso and salsa verde to really pack a flavour party. The espresso mushrooms don’t in fact taste of mushrooms but rather they were grown from the coffee grounds from the restaurants. Plump and meaty with the creamy tang of the curd made for a dish that didn’t stay around too long… If anything I could of more than happily eaten a second plate, not due to the portion size but more to experience the flavours once more. Unfortunately, we were too full after to tuck into the beautiful array of cakes and sweet treats. But I know for sure I will be back to Silo again and again in the future so will get plenty of chances to try out them in the future. 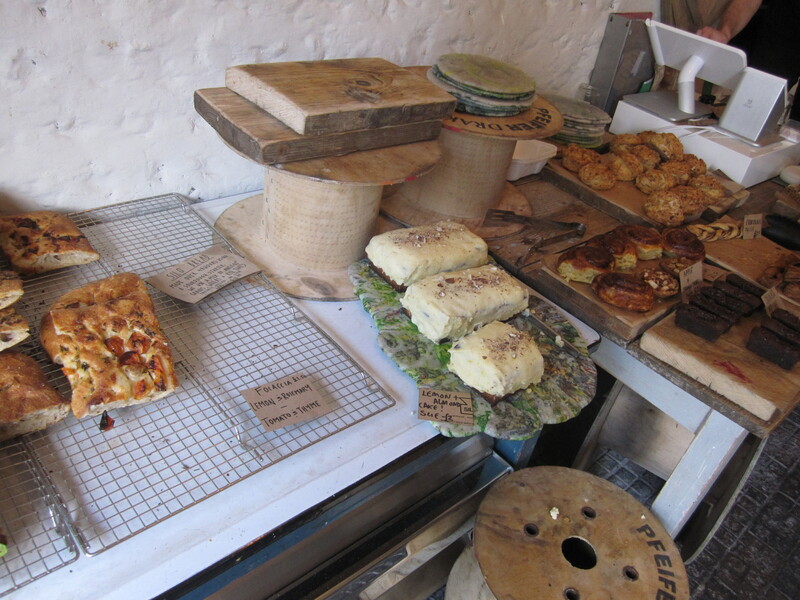 Especially the cute canelés on displayed on the rustic boards. 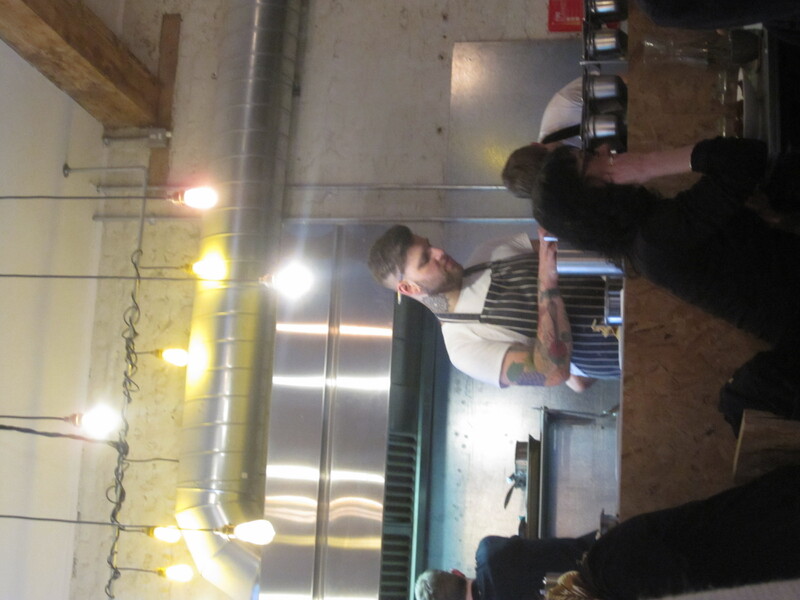 I really loved our time at Silo and really recommend a visit if you are in Brighton, actually, I came from Bristol to eat here and well worth the miles. I really love the care Silo puts into their food even before grain land on your plate. A true treat.